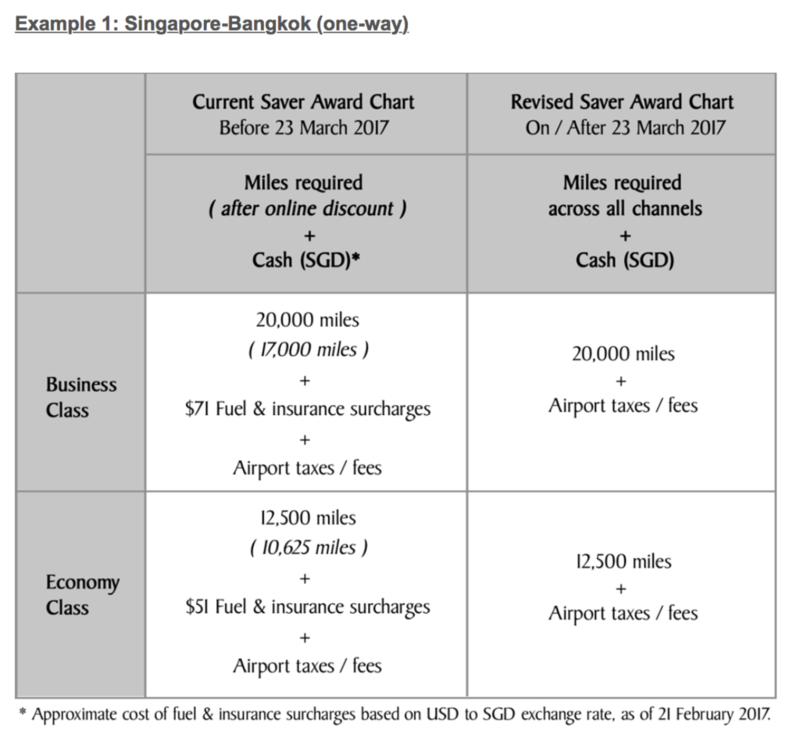 ・Revisions to Saver Award levels in the Singapore Airlines and SilkAir Award Chart have been made to ensure that flight rewards remain sustainable yet competitive. 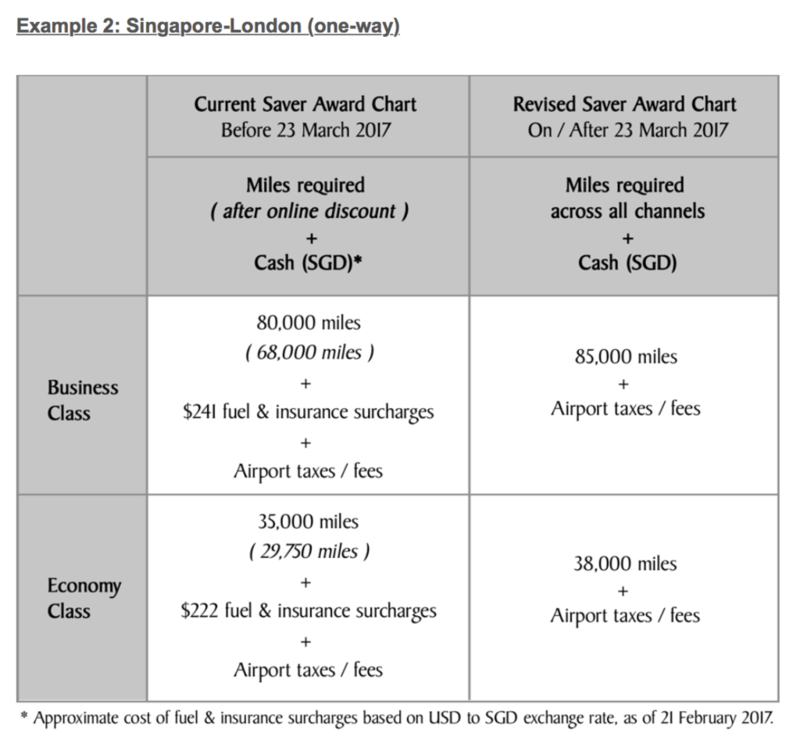 We had last made adjustments to award levels in various zones in 2012. 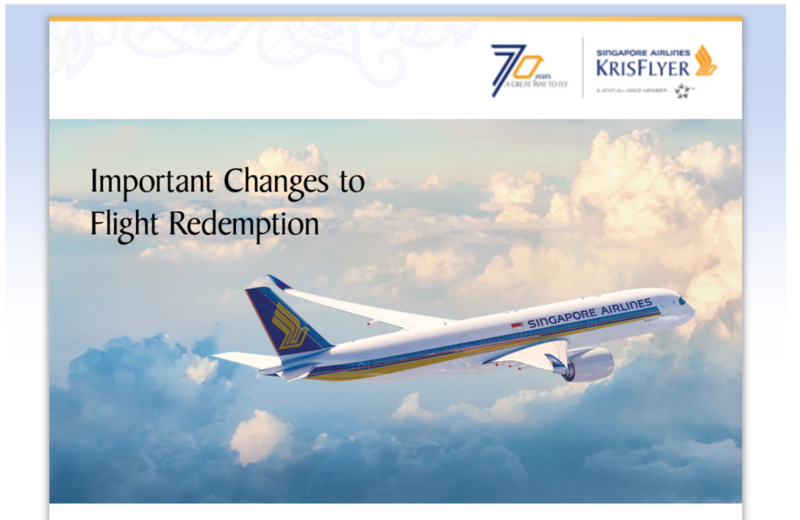 ・The 15% discount for redemption and redemption upgrade bookings made through our website and mobile channels will be discontinued, and the same redemption fare will be applied across all channels. 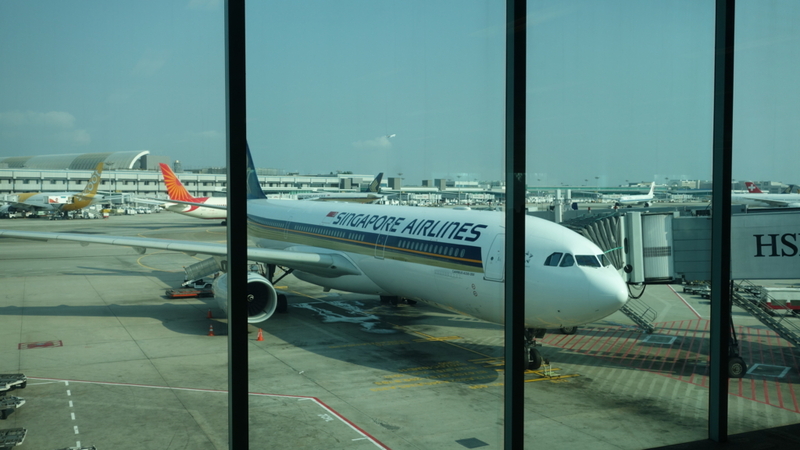 ・Fuel and insurance surcharges will be removed from all redemption award tickets on Singapore Airlines and SilkAir operated flights.